I love that pic Leon. You need to post a pic of your machine. With 18 pages in this thread, it's hard to know what machine you're talking about. Here is the link to the page. Good stuff in there. No longer available. What a pity. A lot of it wasn't any more accurate than any other opinions anyway. Thanks for letting me know, Cari. I have an Australian-branded Lemair-Helvetia Super ZigZag (J-A5 SZ00168810) and I was wondering if it was made by Brother. With a JA5 on it, it's doubtful that it's a Brother built machine. 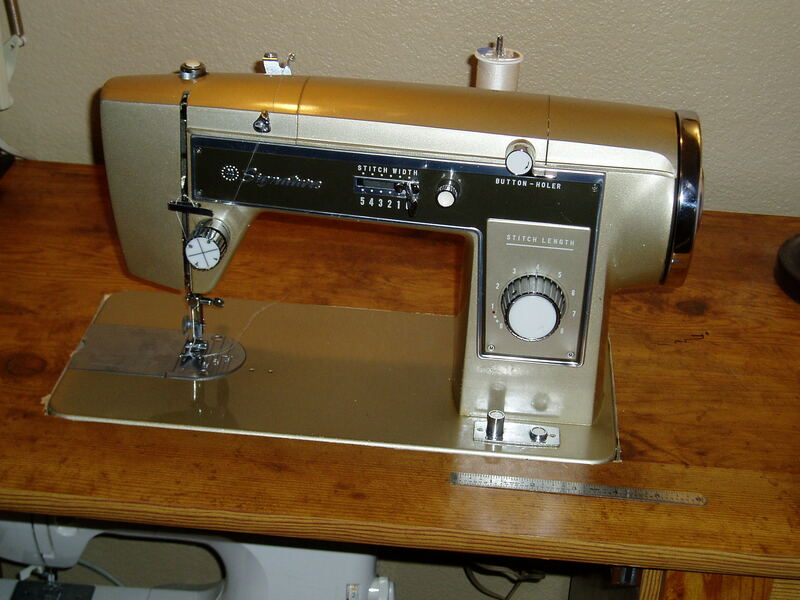 So far, JA5 is an unknown manufacturer known to have built the JCPenney Swing N Sews. Over on the Victorian Sweatshop forum the JA/JC list is being updated with more information by documentation. In other words, with pics and/or paperwork to back up what we now know, we are adding to the list. Pics of your machine and the JA# would be welcomed. 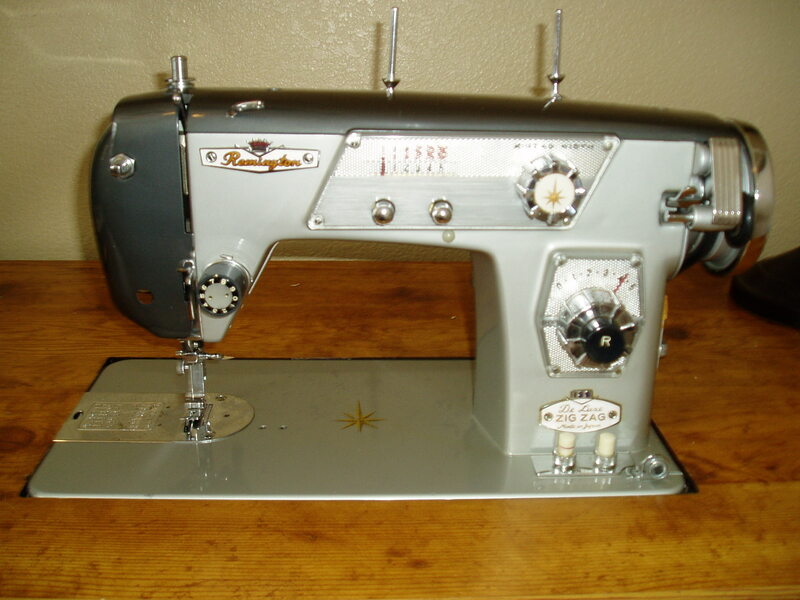 This is my Mothers Dressmaker model W-60 DE Luxe Zig Zag Precision Sewing Machine Made In Japan. I have a full set of cams, the accessory box and best of all a printed manual. 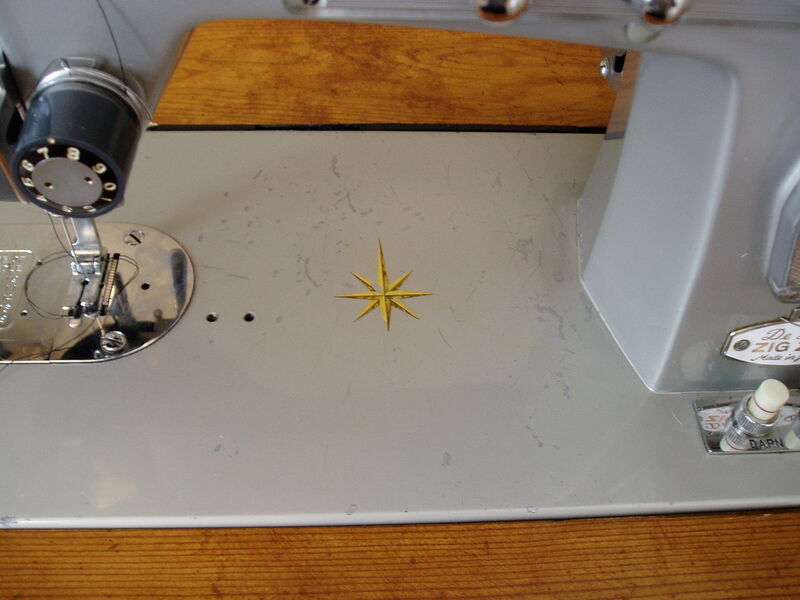 The unique item on this machine is the blind stitch dial. I still don't know what year it was made. If anyone cam help with that, the serial number is JNZ 617410. Serial numbers are useless for Japanese machines as there are no records that we know of to search. Without dated paperwork most of the time best we can do is guess. I'd say based on features early to mid 1960s. Here's an unusual one for you. A Wards Signature URR285e. Paid too much for it but I couldn"t help myself. Picking up a Remington today and paying too little for it so I guess it works out. Looks brand new.. Lucky you. Welcome aboard. Oil everything that moves..or should. Wards sold some nice machines. Welcome, mechanic80. Looks like nice machines. Do they both have the same JA and JC numbers (probably on the base)? 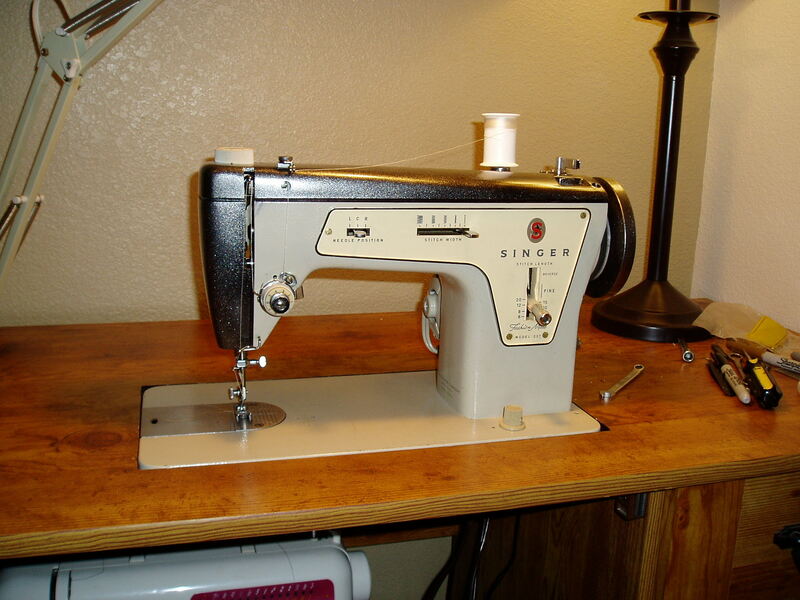 I have a Dressmaker 960 that i picked up from a thrift store. It looks like a Bell Aire 960. I am looking gor a little more info on it. Is it suposes to use cams? It has an emb/darn feature. Zig zgag and striaght stich sews like a dream and its very quiet. Also looking for a manual. Thanks for your help. If so then no, it does not take cams. The darn/embroidery feature is just the feed dog position. Yes it looka just like that. Thank you dor responding. I am having issues getting it ro sew. The bobbin thread and top thread wont connect it seems like a tension thing. Any idea on the aetting on this i have messed with it all day and i am ready to scream. 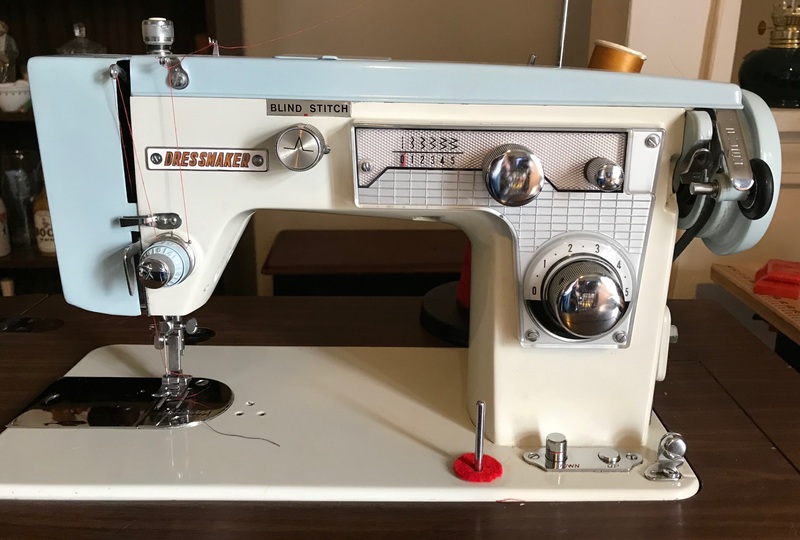 It was sewing yesterday but i didnt have the thread wrapped around the tension knob by the hook... if that makes any sense. Today i did it and now it wont work. Sorry this is so long. What was different yesterday than you did today? Since it was sewing yesterday you must have done something different. Either you've got it threaded wrong up above, or you threaded the needle wrong, or if you changed the needle you might have inserted it wrong. 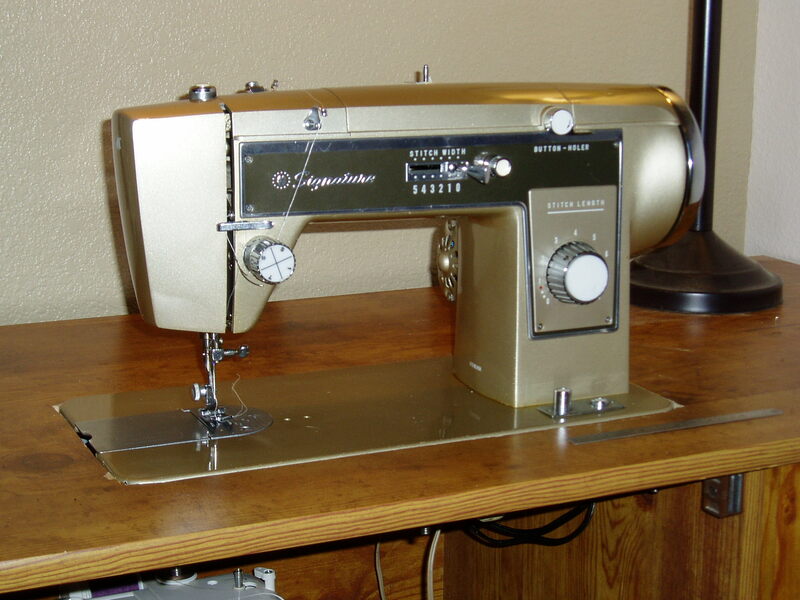 The most common problem when the needle won't pick up the bobbin thread is the needle is in wrong. The Remington is very nice. Looks like a Koyo built machine. I love everything about that Remington! The color, the dashboard look, the mid-century star decal, and the name! 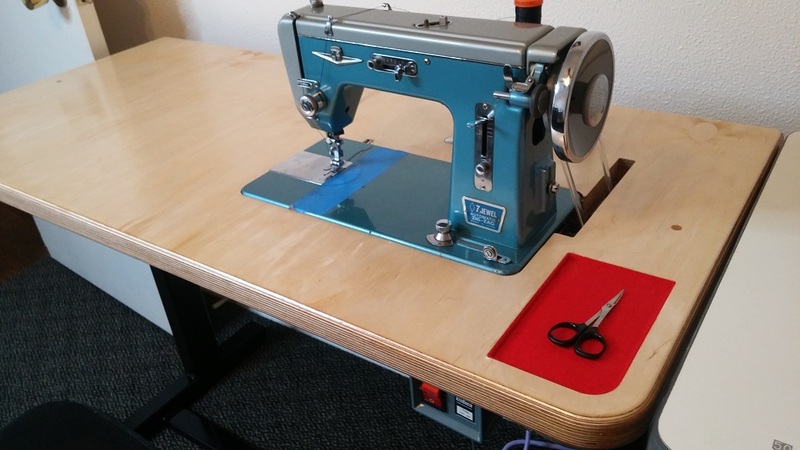 I just posted a thread detailing the build of the table this is attached to, but I figured I would add a picture to this post as well as it fits. Industrial looking table. Is there a huge motor underneath?